A city like Paris, with over two millennia of history, is going to have a lot of interesting monuments and landmarks. That's a given. There are obvious ones, like the Arc de Triomphe and the Eiffel Tower, but there are many other fascinating relics from the past. We love seeking out and visiting these parts of hidden Paris, and also learning about their stories. 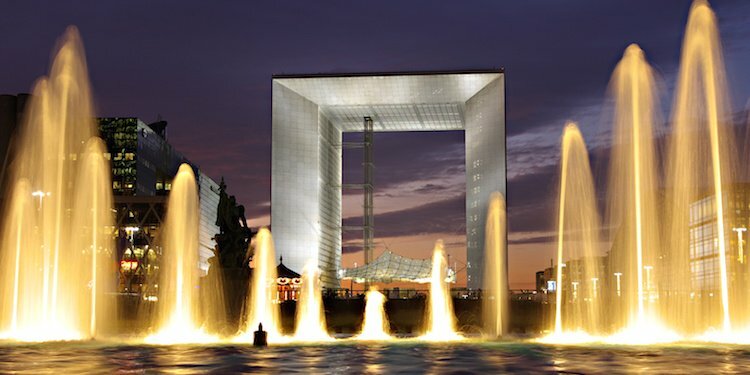 The monuments in this article go back as far as the reign of Louis XIV and are as recent as the 20th century with the ultra-modern La Grande Arche out at La Défense. That's right, the Statue of Liberty. It's in Paris. More than once, in fact. 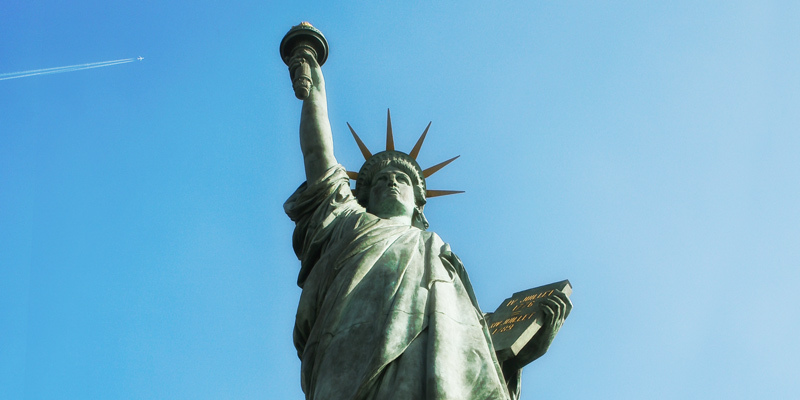 You know New York's Statue of Liberty came from France, right? So it makes sense that in Paris you'd be able to see scale models of it, cast during the time of the construction of the big sister. There's one version out in front of the entry to the Musée des Arts et Metiers in the 3rd Arrondissement. It's a fun museum — perfect for families, too. But the statue of Ms Liberty we like even better is on a island in the Seine on the diagonally opposite side of Paris. In the middle of the river, between the 15th and 16th Arrondissements, there's a long, thin, straight-as-arrow island named Allée des Cygnes and on its lower end there stands another, taller Liberty. You reach Allée des Cygnes by crossing at Pont de Grenelle, two bridges downriver from the the Trocadero and the Eiffel Tower. At the middle of the bridge you'll see Lady Liberty's head and flame sticking up above the level of the bridge. You reach the island, and the base of the statue, by stairs that go down from the bridge. Nice views of the Eiffel Tower, too. 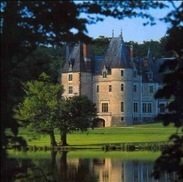 It wasn't Napoleon, but an earlier French ruler who established a home for aging and disabled French soldiers. The magnificent building, Les Invalides, named for disabled soldiers, was built in 1676 by Louis XIV, who was a much bigger builder even than Napoleon. Today it is still is a retirement home for war veterans, but it also houses the Museum of the Army as well at the Tomb of Napoleon. At the museum you can explore the vast collection of 500,000 military artifacts including armor, artillery, uniforms, weapons and emblems. Napoleon's remains were transferred here in 1840 and now you'll find the Tomb of Napoleon under the dome of the chapel on the back side of the main building. By the way, you get free entrances if you happen to have a Paris Insiders Pass. French emperors, kings and presidents like to commemorate their time in power with monumental projects that will carry their memories forward to future generations. Think of the Arc de Triomphe and the Pompidou Centre. So it was that successive French presidents had plans to mark the western terminus the Axe Historique (the imaginary line that runs from the center of the Louvre in the east, down Champs-Elysées, underneath l'Arc de Triomphe and then all the way out to La Défense) with a monument. But ultimately it was François Mitterrand, who completed the project. 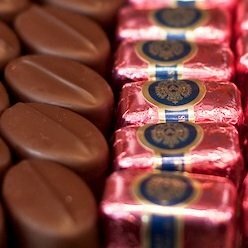 The work began in 1985 with two thousand craftsmen working on the construction. (Two of them lost their lives during the erection of higher parts of the structure.) Construction of the two side pillars lasted about a year, with two independent teams working in parallel on each of them. The Arche was completed in 1989, in time to celebrate the bicentenary of the French Revolution. Visitors could ride elevators to the top for an incredible view into Paris. There were convention facilities in the top cross-piece. However, due to problems with the design and construction (and the fact that pieces of the siding were falling off, endangering pedestrians), the rooftop promenade of this grandiose project was closed to the public in April 2010. At the end of 2014 a project was announced to renovate and restore the Arche, to the tune of €192M. We're pleased to report that the top of the Arche has now re-opened and includes a restaurant with stunning views. 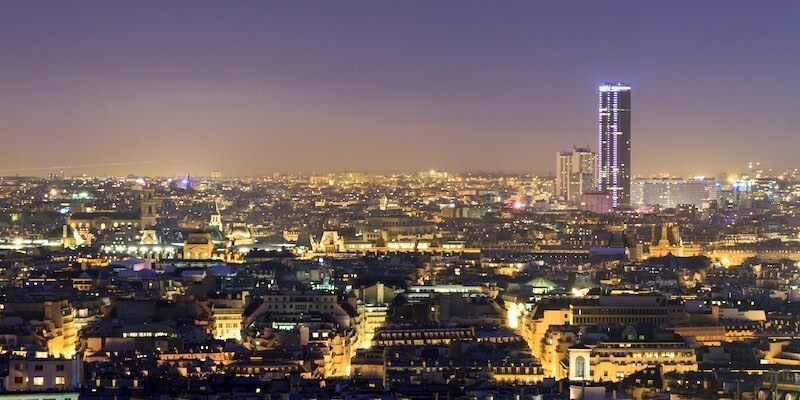 La Tour Montparnasse could be considered a monument to Paris modernity. Maybe. The only skyscraper ever allowed to be built in central Paris, it towers 689 feet over the Montparnasse Metro and train stations. Tour Montparnasse was widely criticized after the completion of its construction in 1972 for being an eyesore and out of place among the more traditional style of Paris architecture, not to mention the height of all other buildings in the city. It created such an uproar that the construction of further skyscrapers in central Paris was halted. Mind you the top of the Tour does provide a breathtaking view of the city, and it's open to the public. (Theres an entrance fee, but it's free with the Paris Insiders Pass.) Take Europe's fastest elevator (38 seconds) to the top where, on a clear day, you can see for more than 25 miles and spot all the landmarks, including the Eiffel Tower. 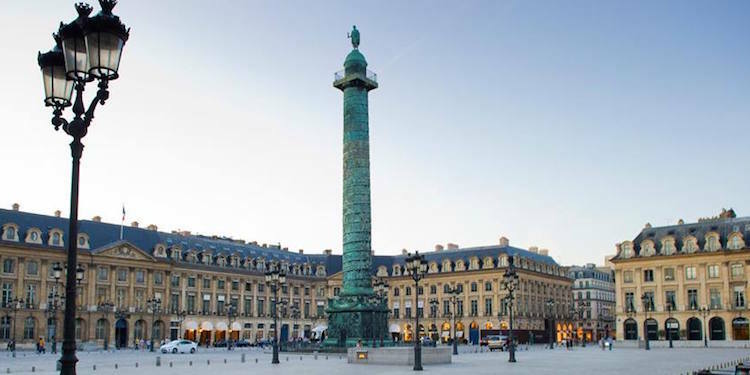 Napoleon commemorated another of his victories by commissioning a bronze column to be erected in the center of aristocratic Place Vendôme. It celebrates the Battle of Austerlitz and the large number of enemy cannons captured there. Inspired by the Trajan column in Rome, it is made up of 98 stone drums and covered with bronze castings made from the 1,200 cannons captured from the Russian and Austrian armies. Following the style of the Roman emperors, the column is decorated in bas-reliefs representing trophies and battle scenes. 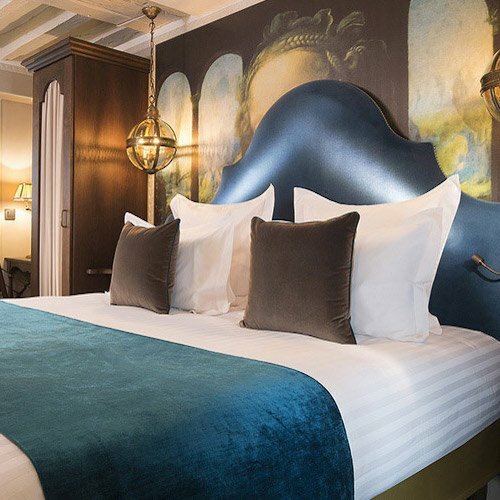 It is topped by a bronze statue of Napoleon. Famously, the column was pulled down by painter Gustave Courbet during the Paris Commune in 1871. Later, after the defeat of the Commune, Courbet was convicted of the vandalism and fined 323,000 francs for the column's restoration, to be paid as 10,000 france per year for the next 33 years. Unable to pay, Courbet fled France for exile while the government seized and sold his paintings. 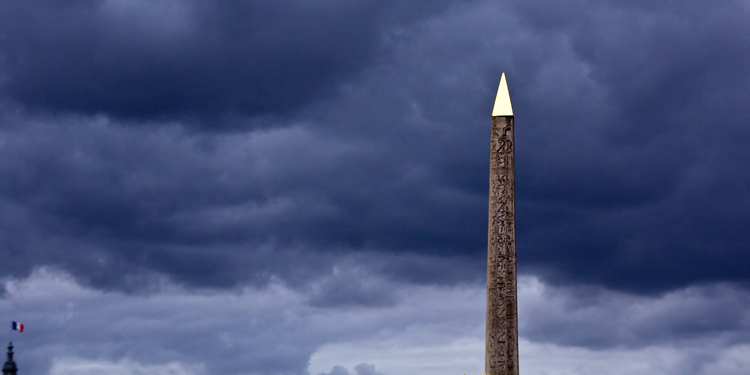 Although 33 centuries old, the Obelisk of Luxor has only been part of the Paris scene since 1836. You might have heard the story that the obelisk was carried off by Napoleon after his Egyptian campaign, but that's not the case. It was given to France by the Egyptian government in honor of Jean-François Champollion, the Frenchman who was the first person to translate ancient Egyptian hieroglyphs, using the famous Rosetta Stone. It is topped by a sparkling capstone, made of bronze and gold leaf, added in July 1998 in memory of a previous summit ornament, carried away during invasions of Egypt in the sixth century. The obelisk is placed on the line of the Paris historical axis that runs from the Arc de Triomphe du Carrousel to the Grande Arche, passing through the Tuileries Gardens and along the Champs Elysées. On the eastern tip of Île de la Cité, on the back side of the ground of Notre Dame Cathedral, is the Memorial of the Deportation. On the stele that marks the memorial it reads "Martyrs Français de la Déportation 1945". It's a heart-breaking tribute to the more than 200,000 French Jews who were deported from Vichy France to the concentration camps of the Nazi thugs. Don't forget, it wasn't the Germans who did this, it was the French government of Vichy France. 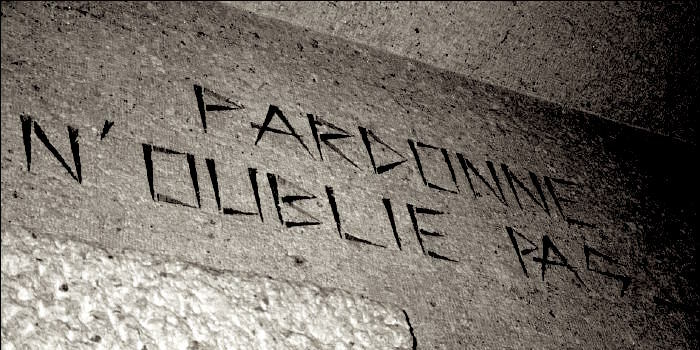 It's the most shameful chapter of French history, but memorials and plaques (as found throughout the Maris) will help to make sure that we never forget it. "Forgive, but don't forget."